Small, fat, furry animals are irresistible to humans and this photographer. Me and many visitors saw this very cute marmot crawling around the rocks at the Tundra Communities trail Thursday morning. 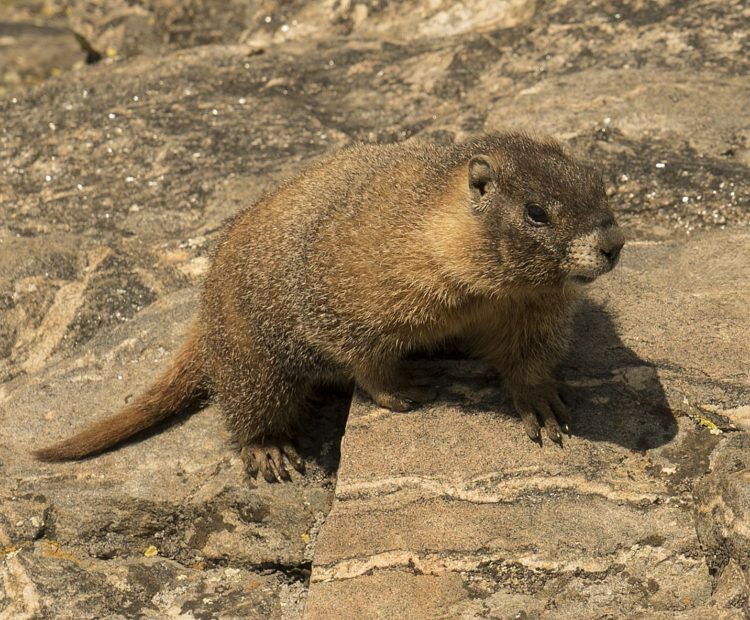 The yellow-bellied marmots live in the alpine ecosystem, in this case at over 12,000 feet. So far every night has been clear and the sky here is pretty remarkable. 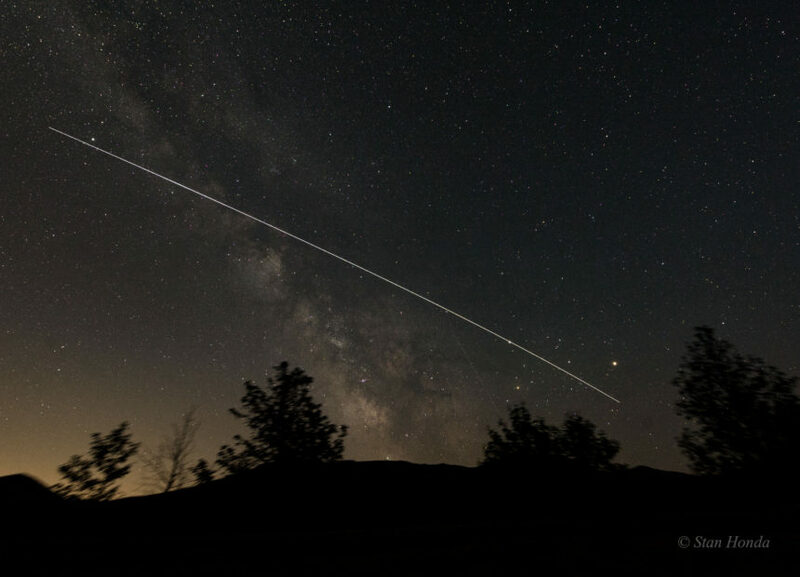 Monday I saw that the International Space Station was to fly over Rocky just before 10 p.m. 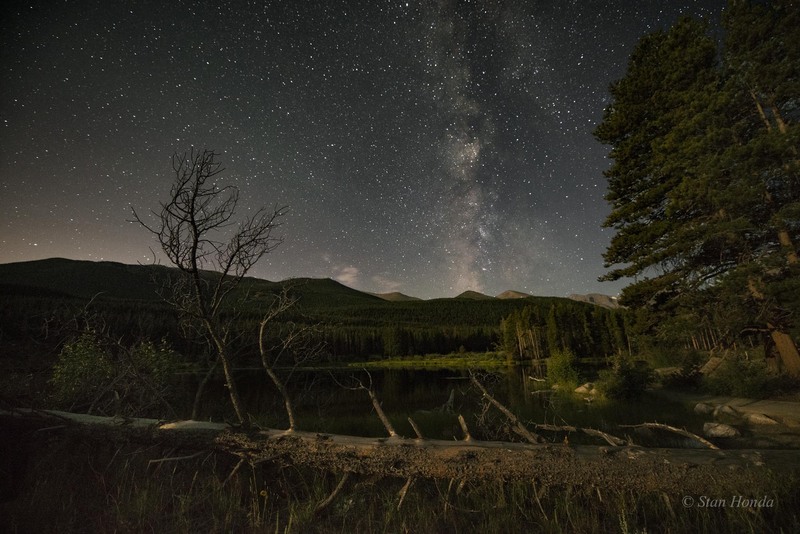 I headed to Sprague Lake to get a clear view of the south-southeast horizon. This 2 minute, 41 second exposure starts just below an orange Mars on the right as the ISS cuts through Scorpius, grazes the top of Saturn, heads across the Milky Way through the constellations Ophiuchus, Scutum, Aquilla and goes just below the star Altair where the shutter closes. The second night photo was taken right when I heard the splashing of an animal in the lake, as I described in the previous post. I asked some rangers and the theories varied that maybe I heard an elk, moose, coyote, mountain lion or even a human. Aside from that, the rising moon provided beautiful light on the lake.